Boo me? Why, I didn't make the movie. If you wanna boo someone, boo them. We are the road crew! Men in tights is good stuff, classic. Yes, I think Robin Hood: Men in tights aged rather well to tell the truth, while I think Spaceballs... I just can't stand watching Spaceballs anymore. Sure, it's got a few great jokes here and there but the overall product just kind of annoys me these days. Sweet I was the other person with Robin Hood: Men in Tights. "Unlike some Robin Hoods, I can speak with a British accent." If I shouldn't come back, I forgive you what happened between you and Sobinski. But if I come back, it's a different matter. Poland, 1939. A troupe of actors is preparing to perform "Gestapo", a satire of Nazi Germany. They are also giving performances of Hamlet. Actor Josef Tura is playing the title role and tends to make a real meal of the classic "To be or not to be" speech. However, he's greatly distressed to see an audience member conspicuously stand up and leave the room just as he begins his speech. He might be even more distressed if he were to realize that he was actually going off to see his wife in private. And if that wasn't enough, there's this whole Nazi invasion thing going on. Soon, the troupe finds themselves involved in a daring escape along with those in need. The film is considered a classic now, but at the time, many audiences seemed to think that making fun of a real threat like the Nazis and of the invasion of Polandwas in poor taste. History has been very kind to the film and it really is a film that shows how (to paraphrase Stephen Colbert paraphrasing Thomas More) the Devil crumbles in the face of mockery. Another great satire of the Nazis, with a very powerful and stirring speech to cap it all off. 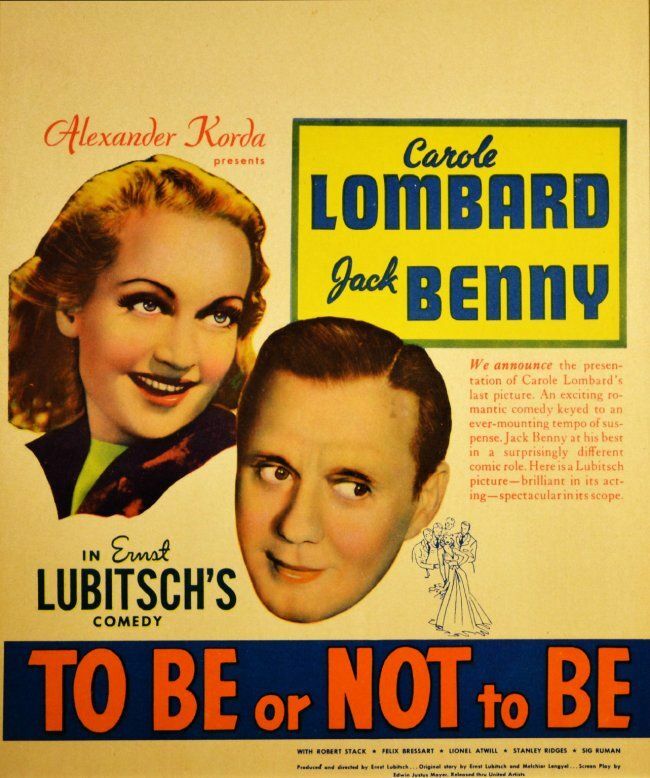 Though banned in nations with Nazi sympathies, this one actually became a critical and commercial success with Charlie Chaplin playing both the protagonist "The Jewish Barber" and the villain "Adenoid Hynkil"
Trivia According to Jack Benny's unfinished memoir, published in 1991, his own father walked out of the theater early in the film, disgusted that his son was in a Nazi uniform, and vowed not to set foot in the theater again. Benny convinced him otherwise and his father ended up loving the film, and saw it forty-six times. The following is based on actual events. Only the names, locations and events have been changed. Oops! Typo! You accidentally listed the best comedy of all time as #43! Ron Burgundy is the most trusted name in San Diego local news. He and his entourage are kings of the world, but soon they find their unwavering faith in their masculine superiority threatened by up and coming journalist Veronica Corningstone. The situation is worse when Ron and Veronica fall in love, then fall out of it when Veronica fills in for Ron one day and he handles it poorly. Soon, Veronica becomes co-anchor and a private war brews between the two with unexpected consequences for Ron. It's interesting that Anchorman inspired a lot of films that try to rely on improvisation and crash. Anchorman is essentially a series of vignettes that loosely form a story but where Anchorman triumphs where many of those other films fail is probably in the editing room and knowing what scenes to keep going with and which ones to keep short. Many of those other films feel a little sloppy but while Anchorman feels pretty loose, it's pacing is great and the scenes work really well. It feels like the success of Anchorman and Talledega Nights gave Adam McKay and Will Ferrell license to be really weird. And this is definitely their oddest film with John C. Reilly proving that he's got fantastic comedic chops. Will and John play two men in their 40's who act and live like children and must learn to live together when their divorced parents start co-habitating. That's as close to a plot that we get here and it's delightful. Trivia Many of the actors and actresses were good at improvisation, and would sometimes do up to twenty different versions of reaction lines, trying out the first thing that popped into their heads. Johnny I just noticed this. There are 16 lists, not 15. I don't know if I gave you the wrong number or if you've been typing it in wrong. More that I didn't count them all. Will fix. Have not seen Anchorman: The Legend of Ron Burgundy.. There's only two Anchorman movies total (though the first film had so many deleted scenes that it was edited into a sort of mini-movie. I haven't seen it, but I'm guessing it's funny but the term "movie" is probably generous). But Anchorman is definitely a good movie and I think it is very much your sense of humour. Anchorman 2, I haven't seen. I hear it's competent and not bad, but pretty unessential and forgettable. Instead of watching Anchorman 2, maybe watch Anchorman, Talladega Nights and Step Brothers, which are all in similar ramshackle but hilarious styles.